How melting leads to more melting as the Arctic warms up. The Arctic is waking up. It’s not just the longer growing season. Underground, the Arctic permafrost is retreating. As it melts, “more of what was previously frozen soil, locked away from biology — essentially inert — is becoming biologically alive,” said Ross Virginia, director of the Dartmouth Institute of Arctic Studies. All the living things in the soil breathe, he added. “That means that all the bacteria and the fungi and all those little critters are releasing carbon dioxide and methane. And those are potent greenhouse gases,” he said. 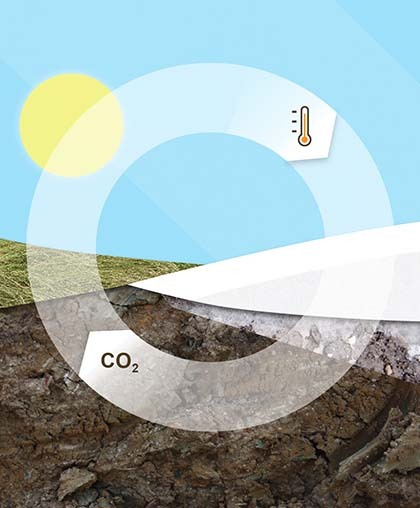 Scientists are concerned these heat-trapping gases exhaled from thawing permafrost will speed up global warming, leading to more melting, and releasing still more gases. It’s one of the questions the East GRIP team is studying. Greenland last thawed between roughly 9,000 and 4,000 years ago. Scientists will be probing the ice cores to see how greenhouse gas levels changed. “We could test that and see, what did nature itself do when the Northern Hemisphere was two degrees warmer than today?” said Jørgen Peder Steffensen at the University of Copenhagen. While the thawing land spins up one vicious cycle, scientists are watching another taking place out on the ice. While the island seems remote, global atmospheric circulation patterns blow in bits of desert dust, volcanic ash, forest-fire soot and industrial pollution from as far away as China. These particles sully the pure white of Greenland’s ice ever so slightly. While pure, white snow and ice reflect sunlight, anything that darkens the ice sheet increases the amount of energy it absorbs. More absorbed energy means more melting. As the ice melts, these particles are concentrated on the surface. “As (they) accumulate on the surface, it only accelerates the speed of more melting and the exposure of more sediment that was deeper in the core,” Virginia said. What’s more, algae living on the ice darken the surface still further. Researchers are only now beginning to study how much the algae and the particles contribute to the graying of Greenland, and how they may work together to accelerate the process. Greenland is melting faster than expected. These vicious cycles may help explain why. 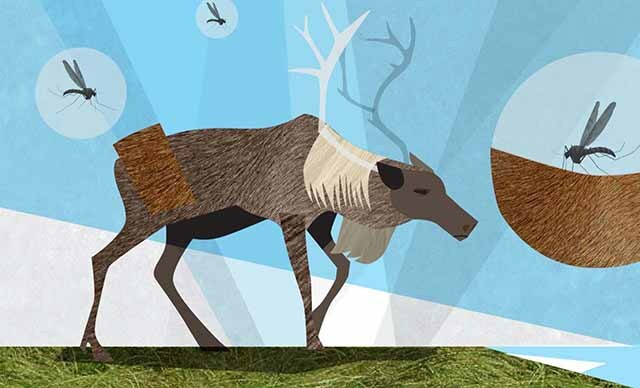 The impacts of climate change ripple through ecosystems in unexpected ways.